The wait is over for those who have been wanting to purchase T-ara's remix album! It will be released on October 15, so check out the preorder links below. This album is Limited to 7,000 copies. Comes in 2 CDs and 52-page booklet. 1. huckIE_sugarfree (DJ Chuckie) ENG. 2. 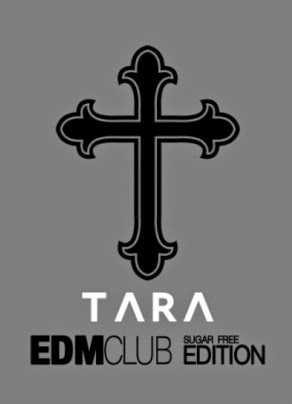 FBTA_sugarfree (DJ Beatrappa,Ferry,TERA) ENG. 3. FERRY_sugarfree (DJ Ferry) ENG. 4. BIG BOUNCE_sugarfree (DJ Big Bounce) ENG. 5. DION_sugarfree (DJ DION) ENG. 6. JEFFREY CHOI_sugarfree (DJ Jeffrey choi) ENG. 7. PHATSOUND_sugarfree (DJ pHatsound) ENG. 8. MONSTER FACTORY_sugarfree (Monster Factory) ENG. 9. S.TIGER_sugarfree (Original Edit) ENG. 1. CHUCKIE_sugarfree (DJ Chuckie) KOR. 2. FBTA_sugarfree (DJ Beatrappa,Ferry,TERA) KOR. 3. FERRY_sugarfree (DJ Ferry) KOR. 4. BIG BOUNCE_sugarfree (DJ Big Bounce) KOR. 5. DION_sugarfree (DJ DION) KOR. 6. JEFFREY CHOI_sugarfree (DJ Jeffrey choi) KOR. 7. PHATSOUND_sugarfree (DJ pHatsound) KOR. 8. MONSTER FACTORY_sugarfree (Monster Factory) KOR. 9. S.TIGER_sugarfree (Original Edit) KOR. For those who prefer digital copies, you can also buy this from iTunes.